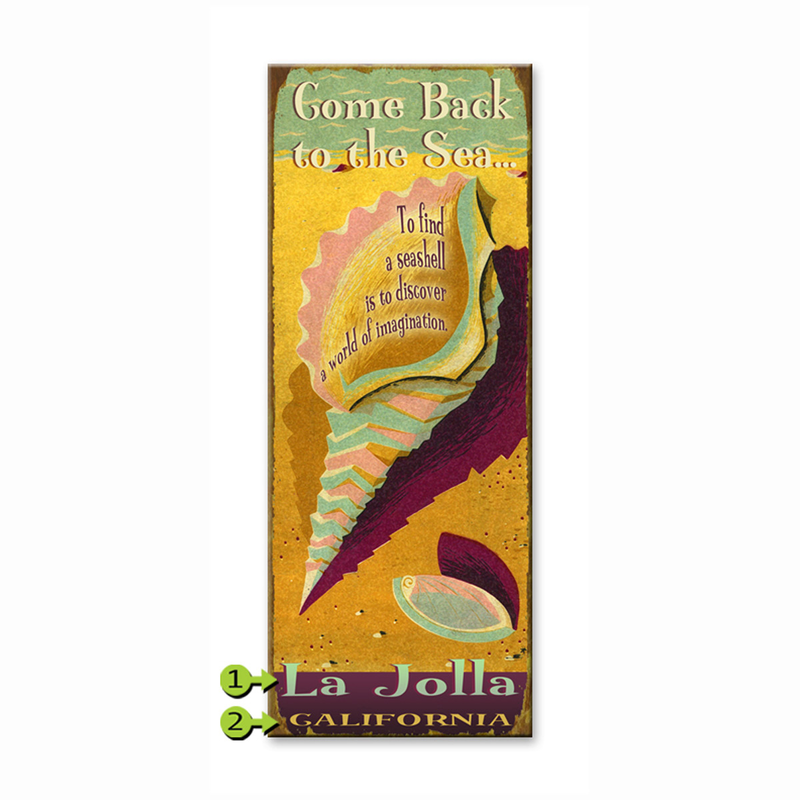 Bring retro beach style home with the Come Back to the Sea 14 x 36 Personalized Sign. This sign has a scene of seashells on the beach with a weathered-look finish. Can be personalized with your name or location for a unique, customized accent or gift.